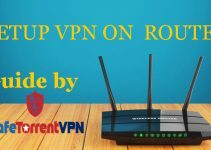 Well Here are some differences between a Paid and Free VPN, I suggest you read them and then decide whether you want a paid VPN service or a free one. This positively affects the speed of the VPN connection, Generally speaking the greater the number of Servers a VPN has, better will be its performance. Therefore one should try buy VPN with high number of Servers (Worldwide). Generally speaking, Free VPN’s provide very poor speeds. This is very important in today’s day and age, While the PC era hasn’t really ended yet, but its a fact that most of the users now surf on mobile and other devices like playstation etc. Smartphone’s in particular have a lot of your private data, One must always choose a VPN service is compatible with many type of devices (possible all). Again free VPN’s won’t provide you these essential features. Having a VPN is one thing and making it safe is altogether a different thing. 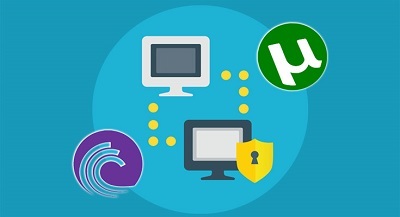 There are many VPN providers (read all free VPN’s) who have a gimmick service, they just have a interface via which users feel they are connected to a VPN, whereas in reality they are in a very fragile connection. Why would you want to risk your privacy and important data when you can get premium services at very reasonable prices? Pretty sure most readers reading this aren’t a technical expert, fret not There are plenty of good VPN services which don’t require any technical knowledge. If you can operate Quora & Facebook, you can easily operate the VPN services out there. However, there do exist services which are really complicated to use, refrain from buying them. This is a relatively newer feature in some of the VPN services, What it effectively does is help in a situation when sometimes DNS servers send unencrypted queries outside VPN tunnels. This is when VPN’s with DNS Leak resolver help in protecting your privacy, the VPN’s without this feature present a great risk to your privacy. This is a feature you will not get in many paid VPN’s as well, forget the free one’s. In all probability you are likely to use such sites. However there are many VPN service which don’t support P2P sites (read free), others reduce their speed drastically when browsing P2P sites. It makes sense to choose a VPN service which supports P2P websites (even if you presently don’t browse P2P sites). 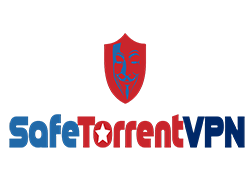 Even if a Free VPN allows you to access P2P sites, please keep in mind they can sell your information & also keep a log of your online activity, which can be used against you as and when needed. Need I even elaborate this point? Customer Support is the primary reason many companies fail or excel in their industry, choosing a VPN service which doesn’t have good support is asking for trouble from beginning. This is a innovative technique used in some good VPN’s. There are always chances when a VPN connection drops out, for such cases VPN providers are now having a feature called “Automatic Kill Switch” this is very helpful in preventing the privacy of your data. Forget getting this feature in free VPN’s, as you may imagine this is a very useful feature. Some VPN’s (All Free one’s and even some paid one’s too) keep a log of all your online activity. Which effectively kills the purpose of having a VPN. However, there are paid VPN services which have no log policy, its wise to choose them. Providing a VPN service requires a lot of investment, in terms of servers and other technical things. Ask yourself, if you were running a VPN service would you provide the service for free? while making expenses from your pockets (in other words, making a loss). Why would anyone invest so much to give you a service for free? I hope that removes all doubts about free VPN from your mind. They both are among the best in quality, have excellent support and are great value for money. One of the them is infact owned by a famous Antivirus Company, so one be assured of all round protection of privacy and data. 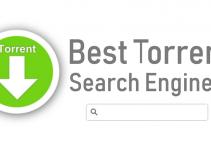 While the other is considered the most technologically advanced VPN Service in the world.